This past October I had the incredible opportunity to attend my first MGMA convention in Boston, Massachusetts. 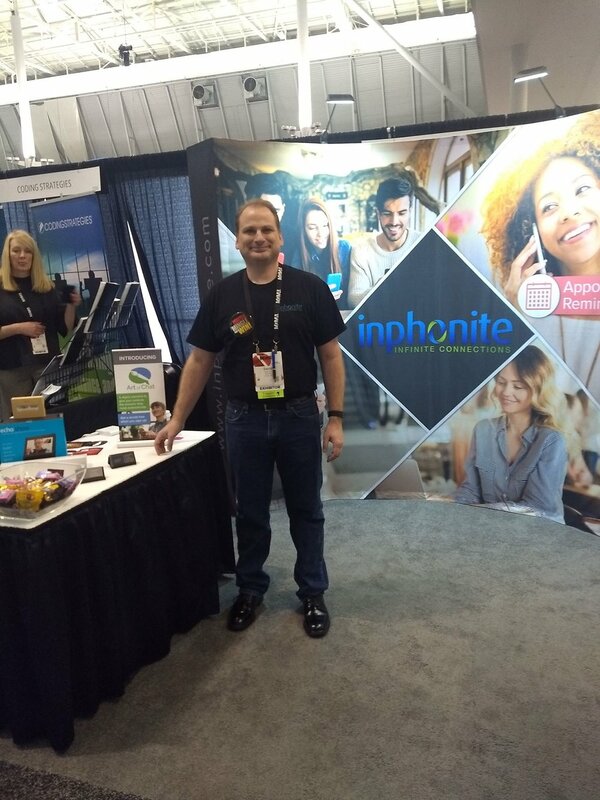 Inphonite was just one among many exhibitors at the convention and we all knew why we were there. Trying to market our products and services, see all of the latest technology and learn about the current best practices, but it went far beyond that. It was a giant networking event where all different segments of the healthcare industry came together with the intention of building something. Just looking around I saw customer/client relationships develop, and partnerships bloom. It goes far beyond standing in a booth and trying to sell things, it is seeing the inside of a machine and how each industry connects to another and how they share a common experience and common goals. For us, the opportunity to present at MGMA came at the perfect time because we were able to announce a completely new product, Art of Chat (dubbed AoC), that every industry could utilize for their own need. We even allowed attendees to test it right there in real time. Art of Chat uses Artificially Intelligent bot technology to automatically answer simple questions. For instance, if a patient were to text their doctor asking for directions to the office, Art of Chat would be able to automatically send them directions without the need for human intervention. 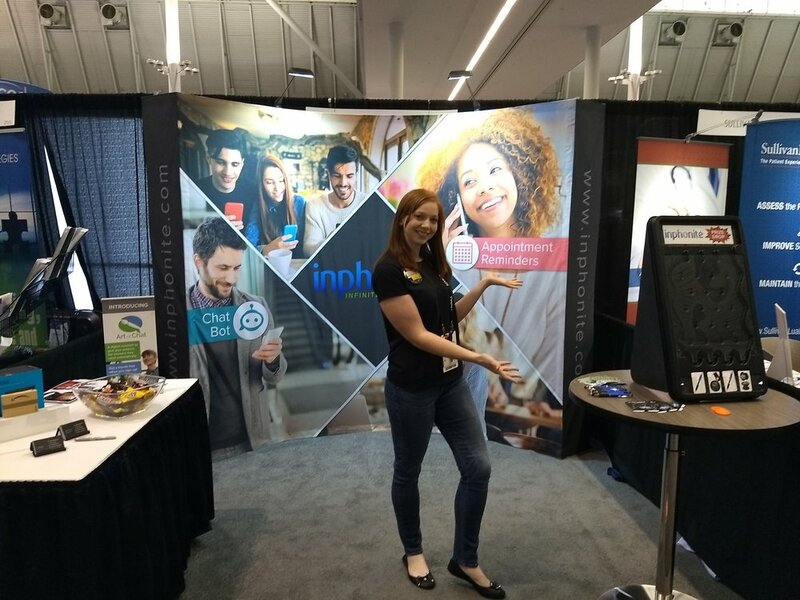 For MGMA, we utilized the survey capabilities of AoC to have attendees enter our giveaway. All they had to do was text a number and Art of Chat would ask them a few questions, automatically reply to their answers and enter them in all of our drawings. Sharing our technology and seeing what companies around us had to offer was one of the most enjoyable parts of the experience. Another favorite part of MGMA was attending the general sessions and listening to some very influential speakers. The CEO of MGMA regaled us with the story of how she began at MGMA and how she became the CEO. It was a truly inspirational tale of starting from the bottom and working your way to the top. I also had the pleasure of hearing Mel Robbins and Simon Sinek speak. Mel Robbins shared the secret of The Five Second Rule and how it led to a more prosperous and productive life for her and how it has helped countless others; and Simon Sinek spoke about teamwork and how taking care of your employees is paramount to a successful patient experience and excellent patient care. Overall, just hearing what these influential people had to say gave me a different perspective on life, work, and the healthcare industry. I can truly say that MGMA offered me a completely different view of the healthcare industry that I had not seen before. Not only did I learn more about the different technologies available and what they can do for Doctors and patients, but I got to see the human aspect of it. I learned how we can all do better just by caring a little more and the importance of truly putting the care in healthcare. I am excited to attend future events, build upon this experience, and to create even more connections!